The “Sirens of TI” lagoon has experienced some shrinkage in recent months, but it’s looking good, and even boasts a few modest water features. It’s no Bellagio, but it’ll do in a pinch. 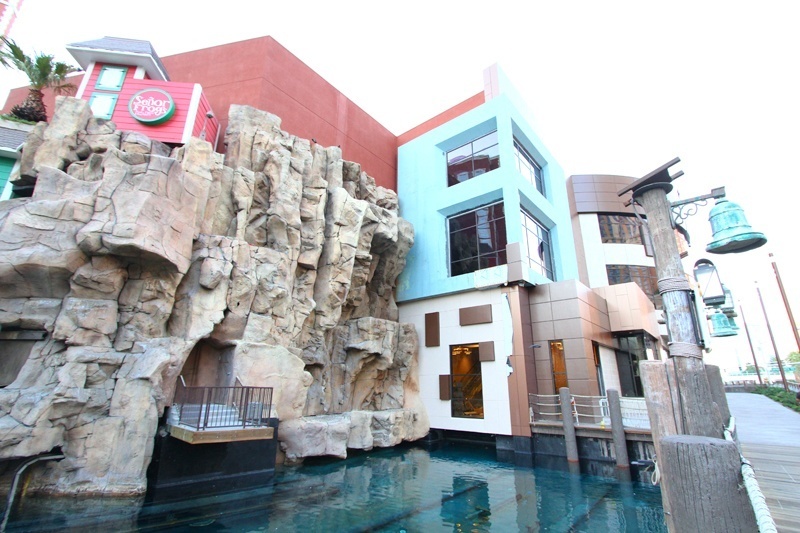 Since the closing of the “Sirens of TI” show, the Las Vegas Strip has 91% less siren. 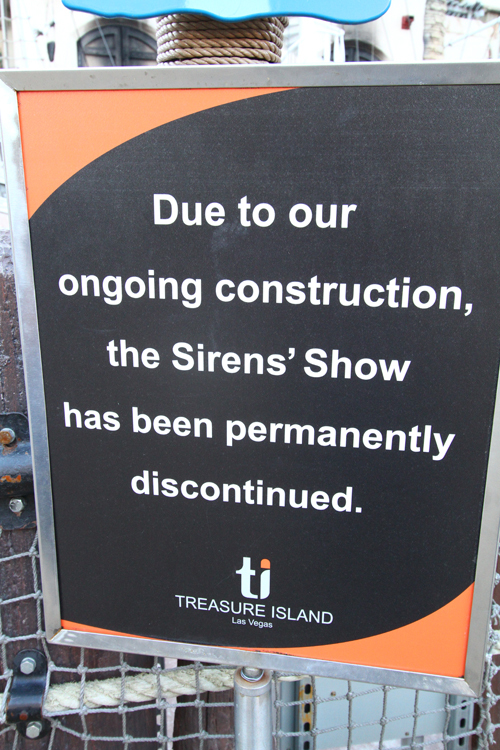 Treasure Island officially closed its popular “Sirens of TI” show back in November, 2013. To be more specific, “Sirens of TI” closed on Oct. 19, 2013, but it wasn’t officially announced the show was permanently closed until Nov. 26, 2013. While the show attracted crowds of visitors, it apparently didn’t attract the kind of visitors that stick around and spend money. Here’s a hastily slapped-together video of the downsized Sirens Cove at Treasure Island. 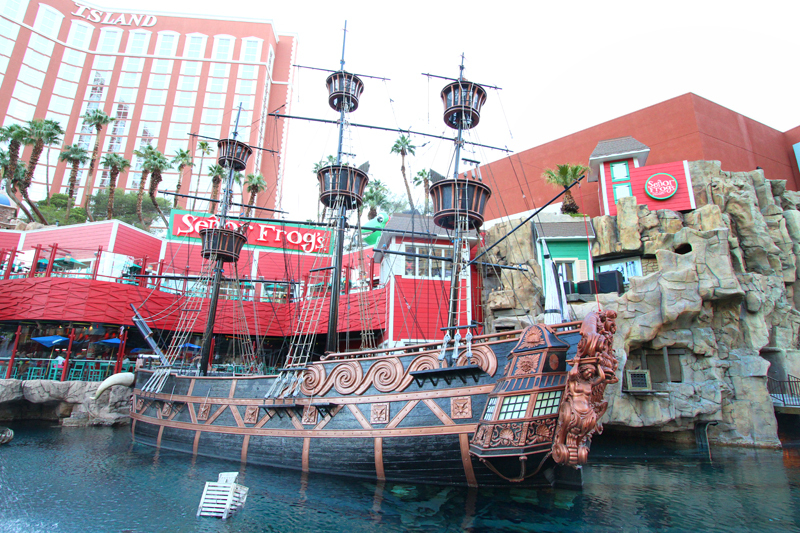 Given the high cost of producing the pyrotechnic-heavy “Sirens of TI” show, with little to show for it, TI decided to drain its Buccaneer Bay and lop off a third of it to make room for a three-story, 48,000-square-foot shopping complex. We’re pretty sure TI is trying to make this blog weep openly in public. 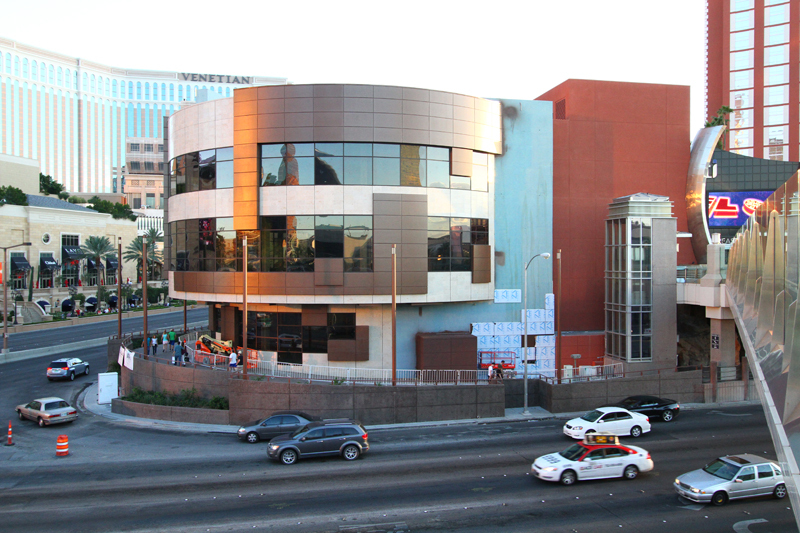 We’re having trouble thinking of another development project on The Strip that’s inspired more “meh” than this architectural tumor. Please, just push us into traffic, already. 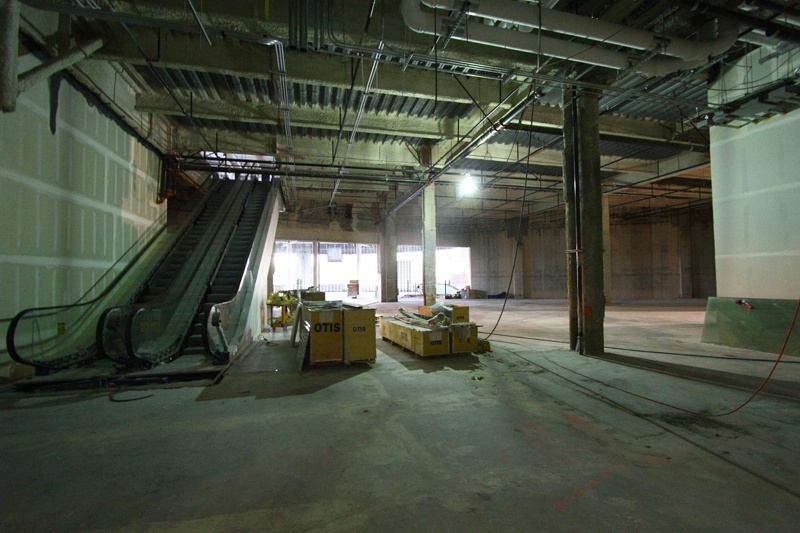 The new shopping complex will presumably host a pharmacy, retail shops, restaurants and possibly an auto dealership. This is the point where most people yawn so powerfully they come close to dislocated their jawbone. The shopping area at TI follows a recent Las Vegas trend, using shopping to generate revenue where there previously was none. 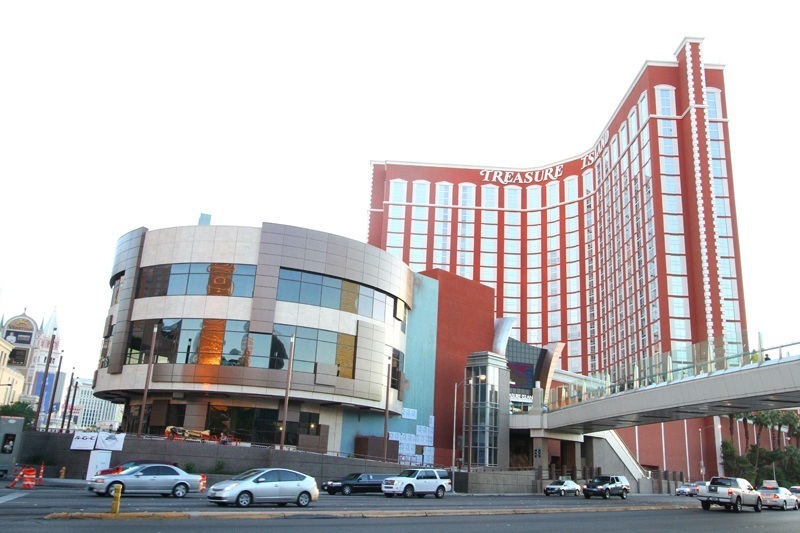 Other shopping developments are happening at Bally’s Las Vegas (Grand Bazaar Shops), New York-New York and Monte Carlo (The Park promenade) and Tropicana. 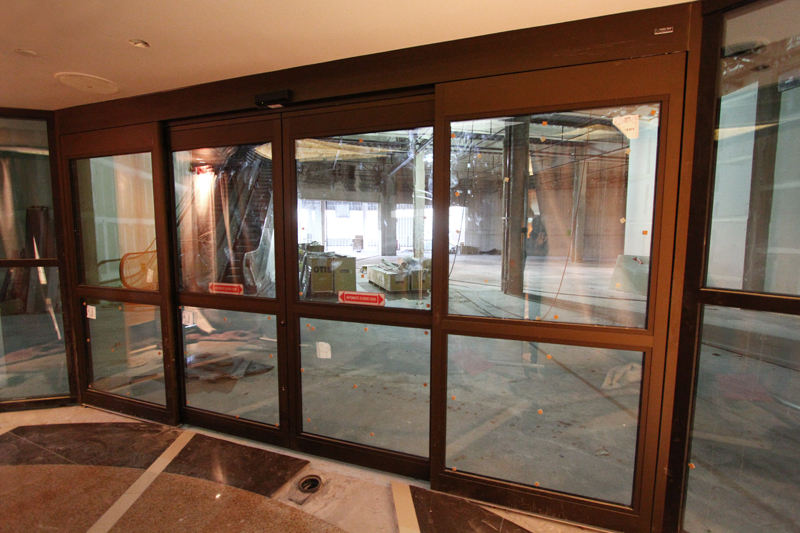 While the lagoon appears to be finished, TI’s shopping mall has a long way to go, at least according to this photo we snapped during our security breach. It appears tenants are as excited about this as we are. Cue the crickets. 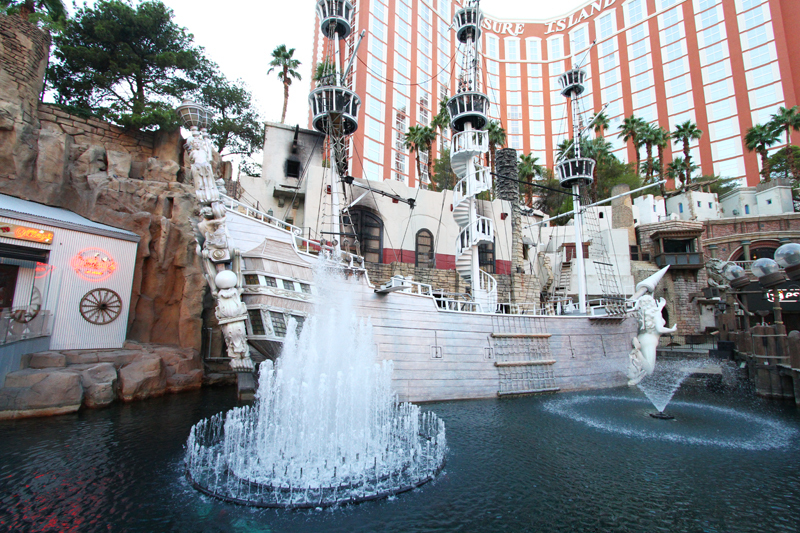 We can’t help but pine for the TI’s over-the-top pirate show, an iconic Las Vegas attraction ever since TI opened in 1993. 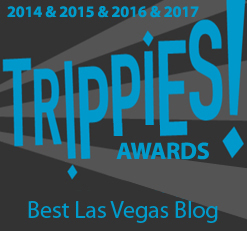 The story was paper-thin and the dialogue was so bad it seemed to have been written by dropping a wet cat on a keyboard, but still, it was free, it was loud and fleshy, and about as Las Vegas as Las Vegas gets. 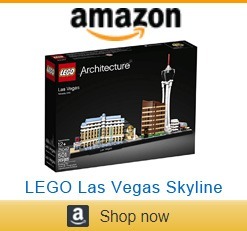 Behold the precise place where Las Vegas past and Las Vegas future intersect. TI’s new shopping complex is expected to open soon, followed almost immediately by what we assume will be a dramatic increase in reports of dislocated jawbones. 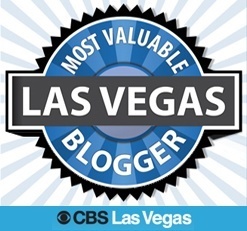 This entry was posted in Las Vegas, Las Vegas Hotels, Las Vegas Shopping, Las Vegas Shows, Things to Do in Las Vegas on September 16, 2014 by Scott Roeben. Anybody else get the urge to play mini golf after watching that video? 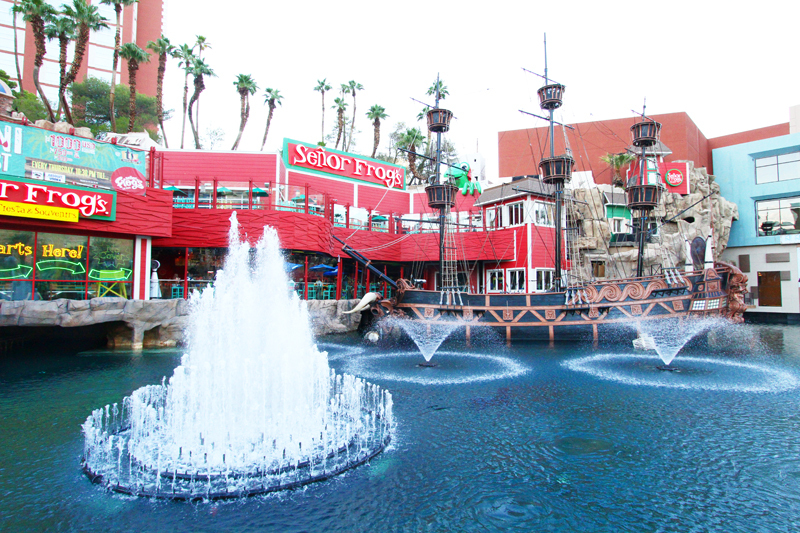 To me, it now looks like a mini golf place somewhere like Myrtle Beach, Destin or Panama City Beach…..
Agreed…I was wondering if a mini golf course had gone out of business somewhere in Las Vegas and TI picked up those fountains at auction. Gah. What is TI THINKING? It seriously does look like it was plucked out of an industrial park in Cupertino or something. At least the retail hell now in front of NYNY fits in with the theme of the resort, this is just the architectural equivalent of a ham and cheese sandwich. I give it 3 years before it’s blown up along with the rest of the uninteresting, stagnating TI. Sirens notwithstanding, when’s the last time ANYTHING exciting happened at TI? They couldn’t at least give it some kind of seaside circa 18th century look? They deserve all the disparaging comments they are going to get. 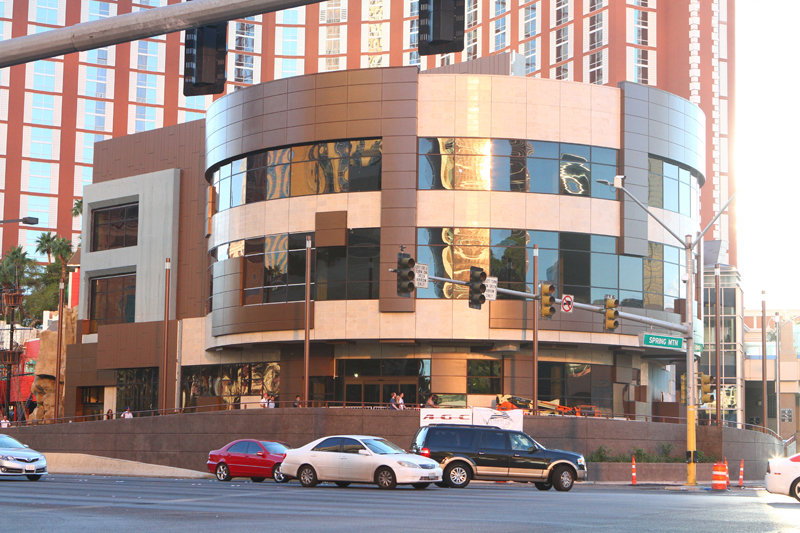 So part of the area is now a shopping center, doesn’t mean TI can’t do a mini Sirens of TI show on the strip. I refuse to ever stay at TI again unless they reopen the show. I used to enjoy staying at TI with a view of the pirate show, but once that closed, I went elsewhere for my vacations. TI may have thought it wasn’t producing much revenue, but it was a strip staple that everyone had to see. I’ve always gone for that flare when choosing hotels, MGM because I loved the lion expedition, they took that away. TI because I loved the sirens show, they cancelled that. 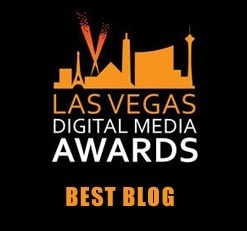 Mirage and Bellagio are the only two left that offer excitement at their hotels. Perhaps if TI wakes up and reopens their sirens show, they’ll draw more of a crowd and have better bookings. Thanks for your comment. I trust TI has gotten that feedback a lot, but the fact is the vast majority of the people who saw that free show never stepped inside the casino. They measure the cost/benefit before pulling the plug. Appreciate your insights, though.